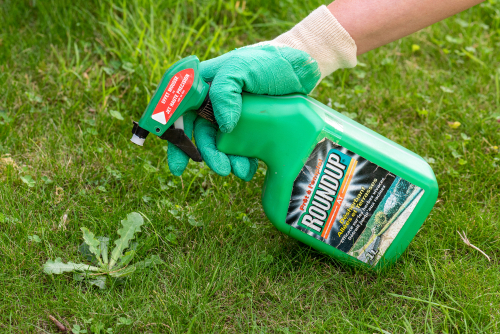 A federal judge in San Francisco ordered a plaintiff’s lawyer on Tuesday to pay a $500 sanction for discussing irrelevant and banned evidence in her opening statement in a lawsuit against the makers of the Roundup weed killer. U.S. District Judge Vince Chhabria said Colorado lawyer Aimee Wagstaff “committed several acts of misconduct in her opening statement,” many of which were “intentional and committed in bad faith.” Law.com and Courthouse News Service have coverage of his Feb. 26 order. Wagstaff is the lead lawyer representing Edward Hardeman, who alleges that the Roundup he used to clear poison oak from his property caused his non-Hodgkin lymphoma. Roundup is made by Monsanto, which is now owned by Bayer AG. Causation is at issue in this first phase of the trial. The second phase will focus on liability and damages. In a previous order, Chhabria said allegations that Roundup’s maker tried to influence regulatory agencies and public opinion aren’t relevant in Phase 1. Chhabria outlined several instances of alleged wrongdoing, including: Wagstaff spoke to jurors about Phase 2 of the trial, “despite a clear understanding among the parties that this would be off-limits.” She spent a significant amount of time on Hardeman’s personal history and his discovery of the cancer “even though this information is clearly not relevant to Phase 1.” She quoted an internal memo that the judge had earlier ruled likely was to distract the jury and included excerpts on slides. She also referred to evidence despite pretrial rulings limiting its admission, according to the judge. Chhabria said Wagstaff wrongly tried to discuss Roundup cancer findings by an international group and improperly tried to tell the jury that the Environmental Protection Agency has had internal debate on the cancer issue. Chhabria said he could sanction other plaintiffs lawyers, as well. But he will postpone a decision until after the trial to avoid further distractions. Michael Baum, the senior managing partner at Wagstaff’s law firm, Baum Hedlund, told Law.com he disagreed with the findings.